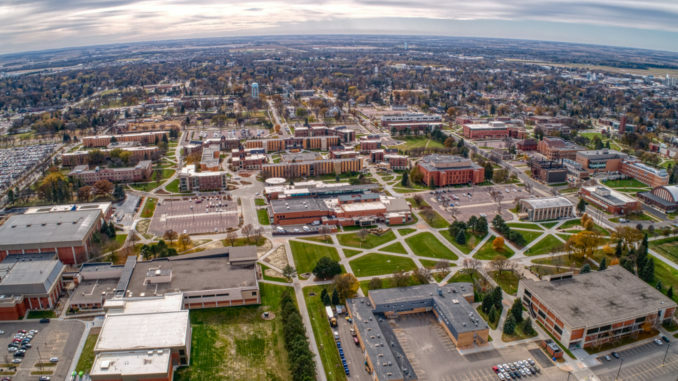 South Dakota State University (SDSU) recently began construction of its Raven Precision Agriculture Center – a state-of-the-art facility devoted to the study of precision agriculture education, research, and extension. The center will strive to foster an innovation ecosystem by bringing agronomy, engineering, and computer science disciplines under one roof. The $46.1 million facility was partially funded by Raven Industries of Sioux Falls, South Dakota – a leading precision agriculture company – with a $5 million contribution. “Technology in agriculture enables you to use less product, less input, spend less time in the field and increase your yield and you’re able to do that in a way that’s more environmentally friendly because you’re using less when you need less, you’re using more where you need more,” Stroschein added. Last year, SDSU announced it would be offering the first precision agriculture major in the country. The major offers courses in data analytics, GPS-GIS technology, precision crop production, precision data mapping and sensor technology. The center is expected to open in 2021. “I think we’ll improve our relationships with consumers. I think we’re going to improve our stewardship of our environment. I think we’re going to improve the profitability of agriculture,” said SDSU president Barry Dunn.